While the popularity of online video as a content medium is exploding, the power of video transcends the internet. 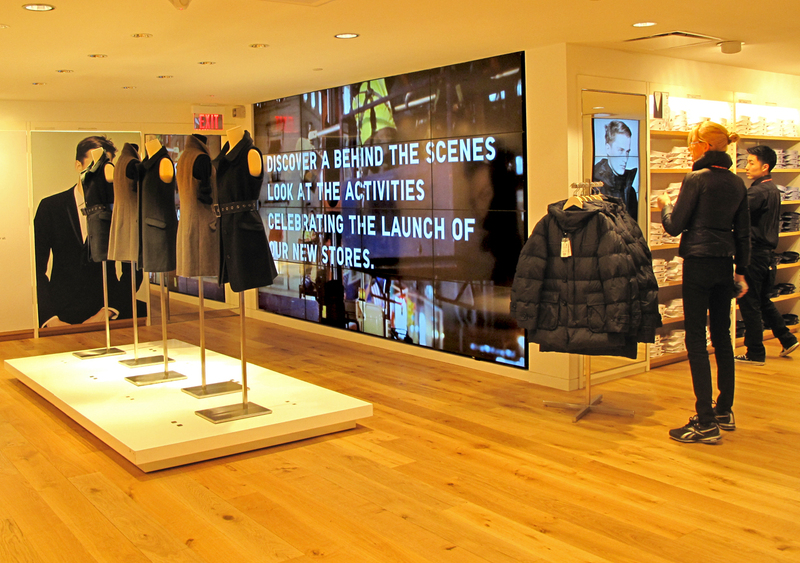 A growing number of retailers are finding ways to cleverly incorporate video technology into the store experience. While businesses must be cautious when making an investment in video, big brands are showing that it’s effective when correctly implemented. When it comes to offline marketing, few mediums are as effective as video. This is largely tied to video’s flexibility and convenience. It can be used in a variety of ways and is rather simple to implement, thanks to a wide assortment of products and services on the market. Companies like The Godfrey Group offer affordable turnkey video presentations complete with monitor stands and work stations for in-store display, whereas brands like Planar stand behind some of the industry’s leading touch screen monitors. For businesses, it’s never been easier to find the right partners who are willing and able to satisfy the demand for in-store video experiences. This is especially evident when you look at some of the world’s most successful brands, including Starbucks, Microsoft, and Tommy Hilfiger. It’s recently been announced that Starbucks will add video screens to the drive-thru lanes of 2,400 different locations throughout the U.S. This comes in an attempt to revolutionize and reinvigorate the age-old ordering system that traditional fast food chains have relied on for years. As Bloomberg Business correspondent Leslie Patton writes, “The move underscores the technological arms race being waged by restaurant chains, which are using apps, touch screens and loyalty programs to keep customers happy.” While Starbucks isn’t as dependent on the drive-thru as companies like McDonald’s or Taco Bell, the company is putting the customer experience first and feels that video allows them to do that. Just a matter of weeks ago, Microsoft cut the ribbon on the company’s new flagship store on New York City’s Fifth Avenue. The store is a direct response to competitor Apple’s major retail success and a throng of a few hundred customers experienced the opening. While it’s not necessarily a new idea for a technology company to use touchscreen video and interactive stations, Microsoft has made it clear that building the entire retail experience around video-based technology can be effective. Everywhere you look in the store, there are computers, tablets, touch screen stations, video projections on walls, and giant screens. It’s one big video experience and goes to show just how crazy people are about interactive point of sale displays. The third example we’ll briefly look at is Tommy Hilfiger. The popular clothing brand recently let customers at a handful of stores experience something few people are ever able to see in person – Tommy Hilfiger’s catwalk fashion show. Well, it wasn’t exactly in person, but close enough. As can be seen in these three examples, video is a valuable and flexible medium that can be incorporated into in-store experiences with creativity. And never before has it been easier for brands – small and large alike – to gain access to these technologies. It’ll be interesting to keep an eye on the growth of in-store video in the months to come.